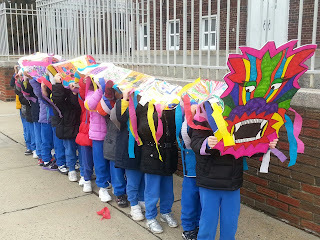 Mrs. Kelly's EC4 Class studied the Lunar (Chinese) New Year and celebrated by making our own dragon. 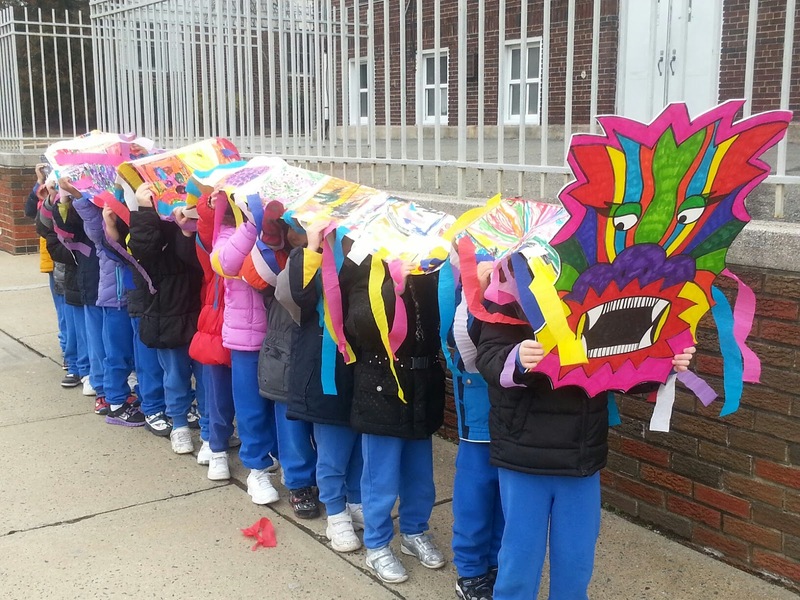 The dragon is a cooperative art experience where each child, while learning of the Lunar New year, was able to make a part of the Good Luck Dragon, and later piece it together to make one fine dragon! The dragon symbolizes good luck for the New Year.